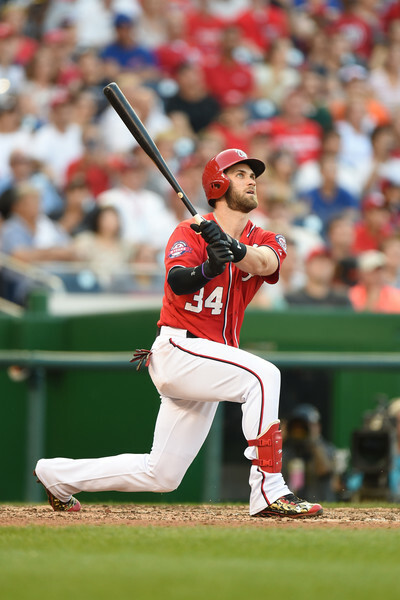 Bryce Harper took a thunderous cut, and if you watch the pitcher after this swing, he knew he had just made a fatal mistake that he would not live to tell about again on this day. It landed in the deck above the right field bullpen at Nationals park, Harper’s 41st home run of his incredible age-22 season. He’s hitting .340 on the year with a 9.4 fWAR. His OPS is 1.138. If Harper never again replicates a season like this, it’s been one of legendary stature and he’s went out and showed out in 2015. He’s a home run behind Nelson Cruz and Chris Davis for the MLB lead.